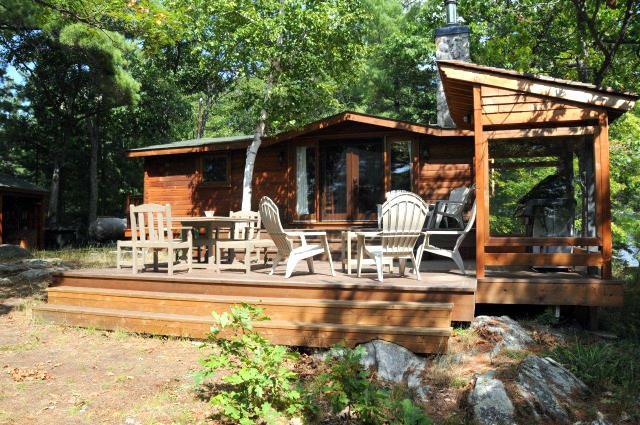 This 3 bedroom Panabode cottage sits right out on the tip of a point of land that faces to the west (cottage #269 sits back along the side of this same point). 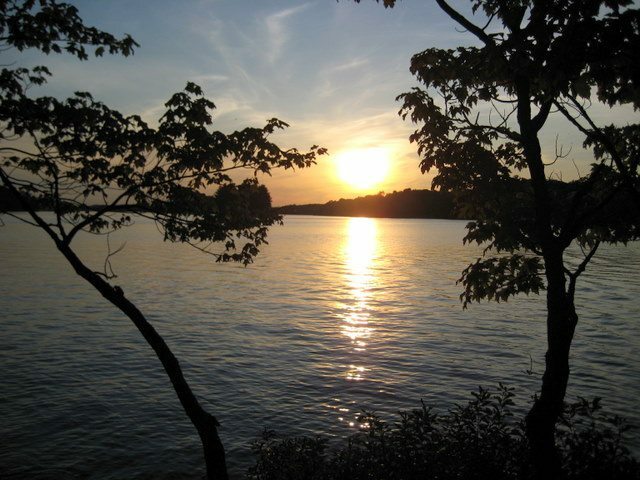 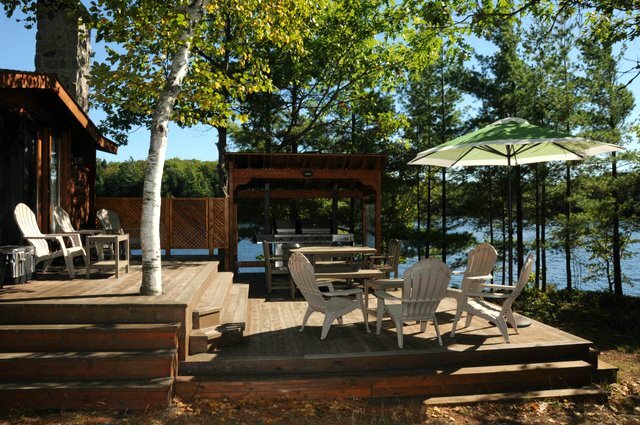 Enjoy fantastic sunsets from the front deck as the sun sets out over the lake. 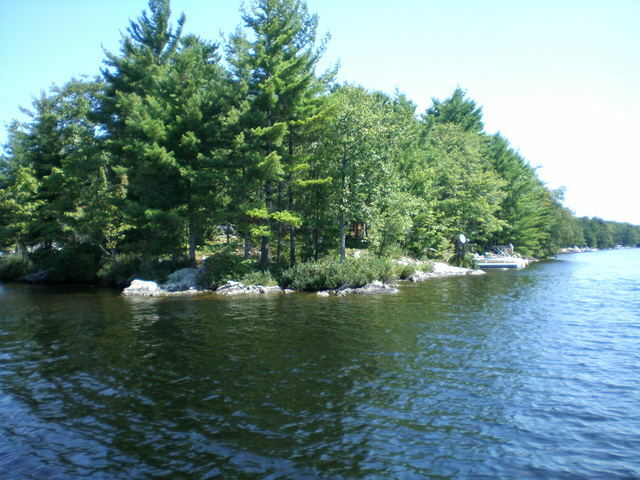 The property is quite level though not entirely flat, and water surrounds you on 3 sides to give plenty of shoreline to explore. 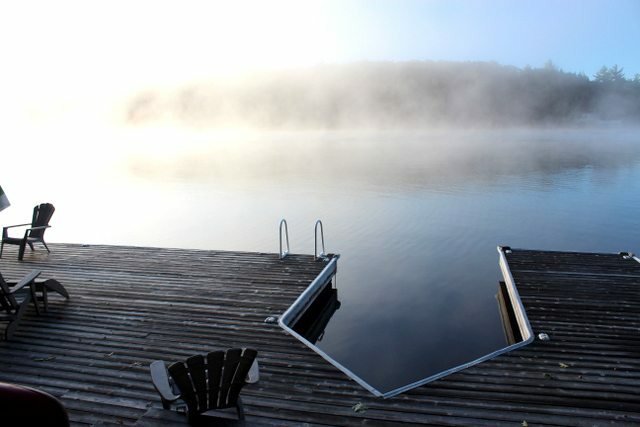 Most swimming is done from the large U-shaped dock area that is located on the south shore of the point (with no neighbours) where the kids will enjoy jumping into the deep clear water (approximately 5' deep) and basking in the sun which shines on the dock from 8:00 am to 5:00 pm. 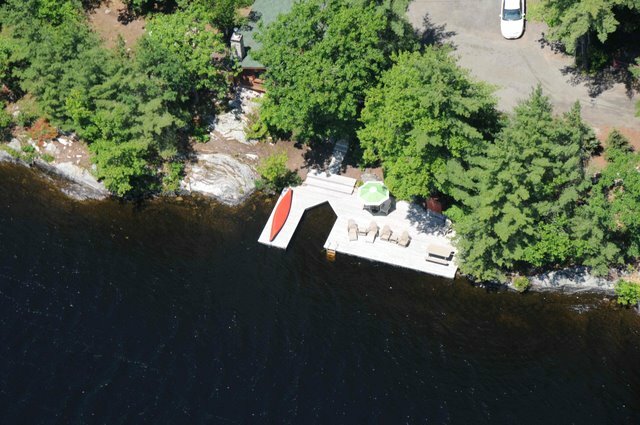 The western section of the dock (on the one side of the boat slip) has been extended in length by 10 feet so it is much deeper off the end of this section of the dock. 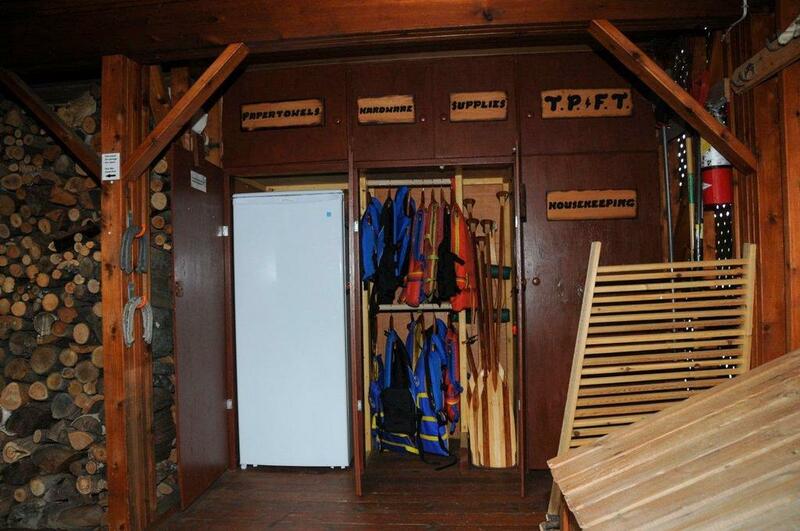 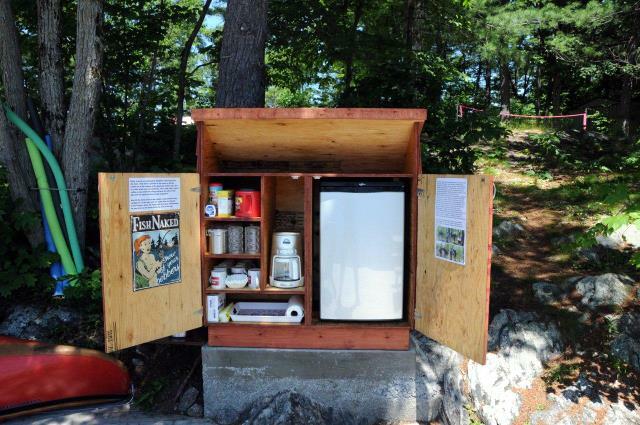 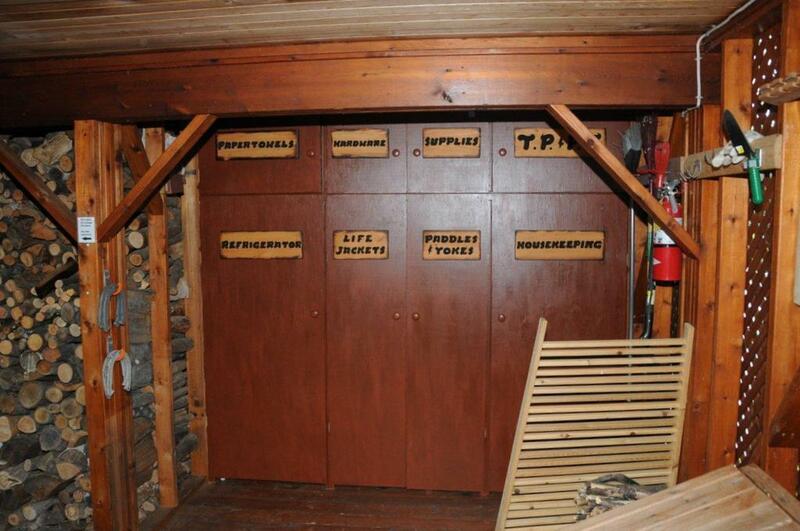 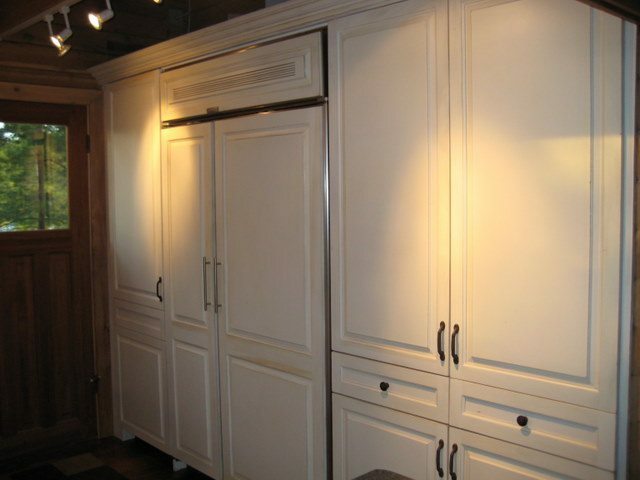 At the back of the dock is a "pantry" (refreshment cabinet) with a coffee maker, small fridge with freezer [for ice cubes], coffee mugs and plastic glasses. 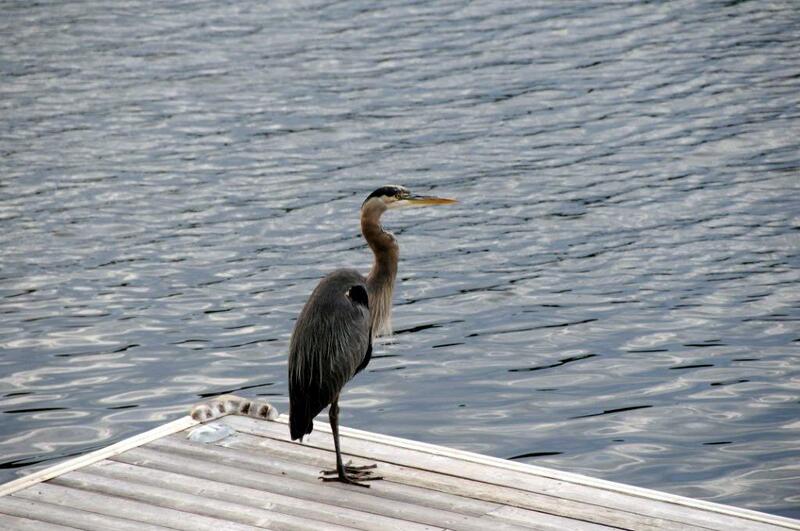 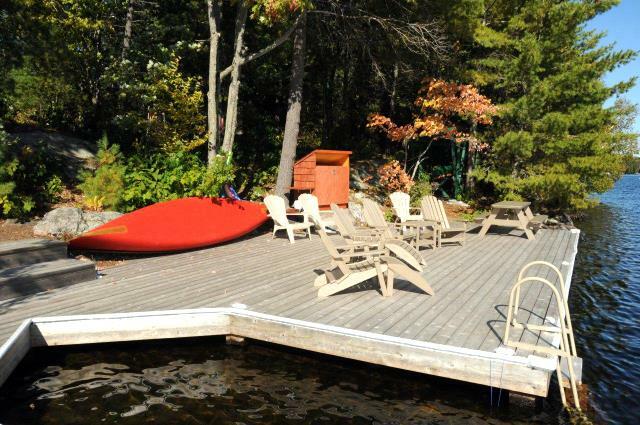 You can spend the entire day on the dock enjoying your morning coffee, noon day lunch, and afternoon snacks and drinks! 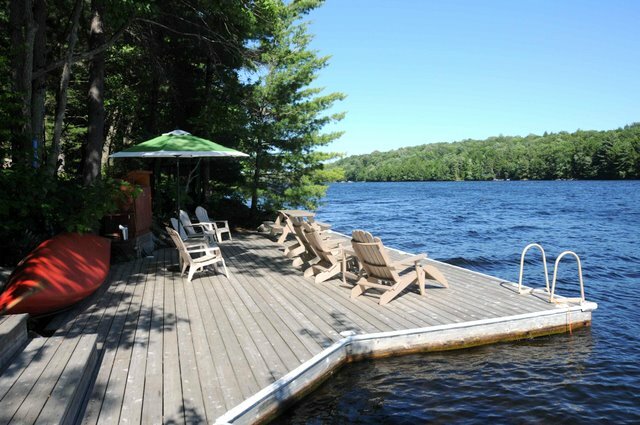 The large dock has ample room for everyone to sit back and relax, and it is equipped with comfortable furniture, sun umbrellas and a picnic bench. 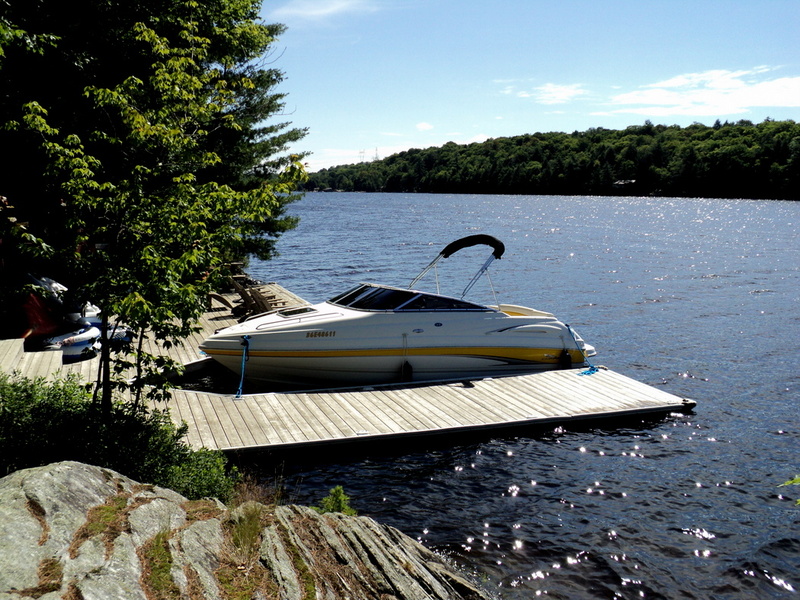 There is also a boat slip for your boat should you decide to bring one (or rent from the nearby marina) and spend time out on the water with the family. 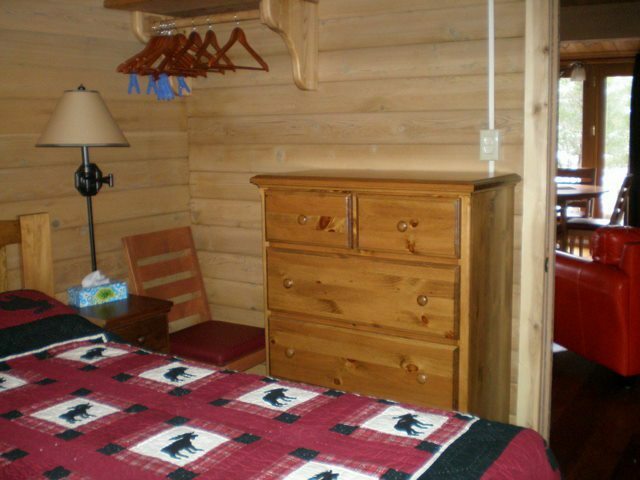 Inside, the cottage is open and newly renovated with great cottage ambiance, yet plenty of updates to keep you comfortable. 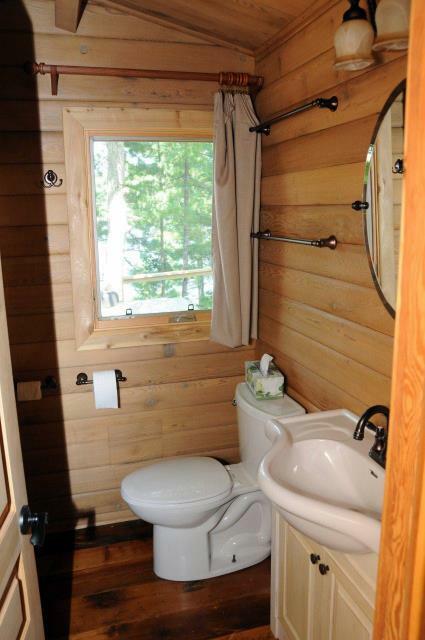 No matter what window you look out, you enjoy a view of both forest and water. 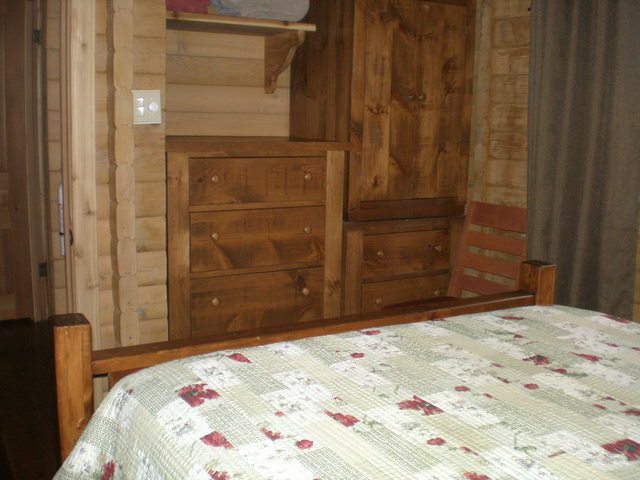 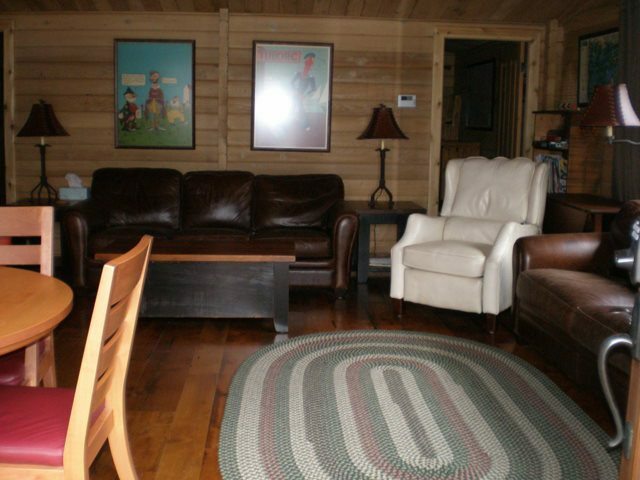 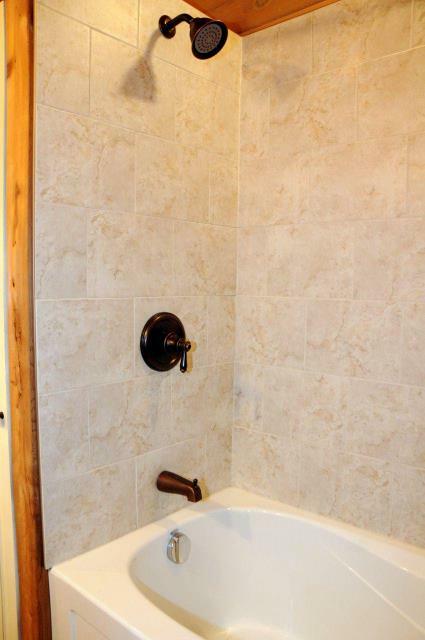 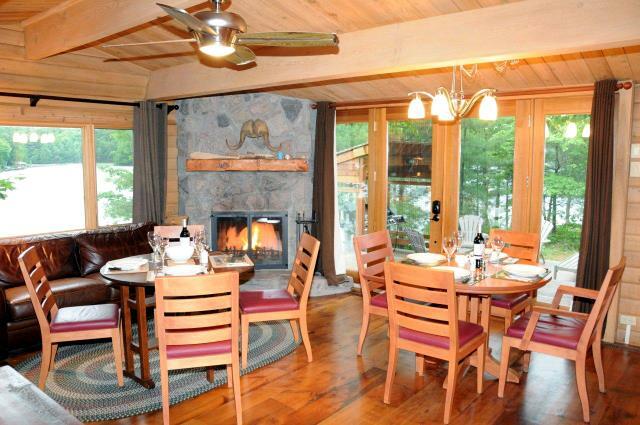 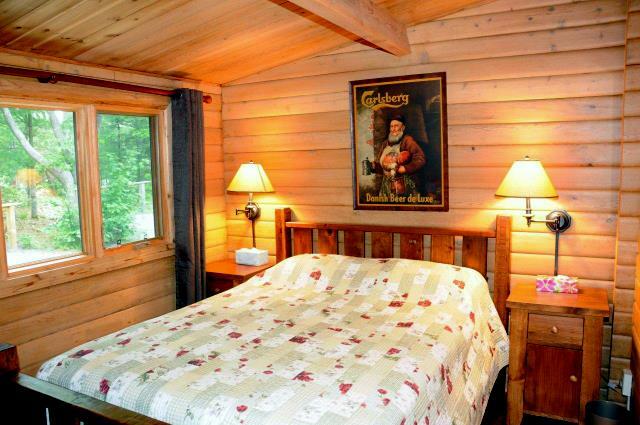 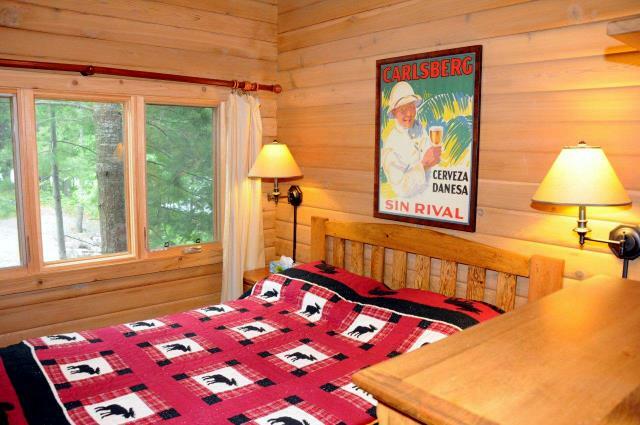 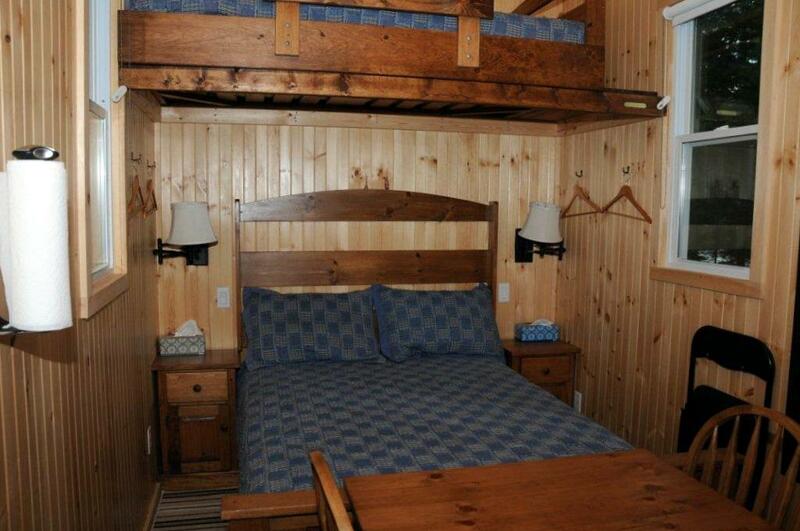 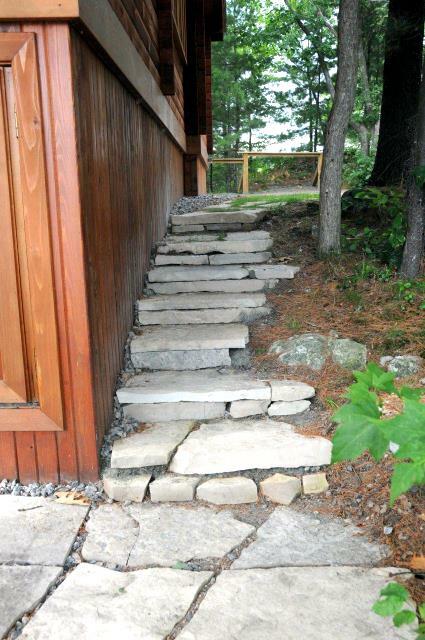 Beautiful pine and hemlock floors are located throughout the cottage. 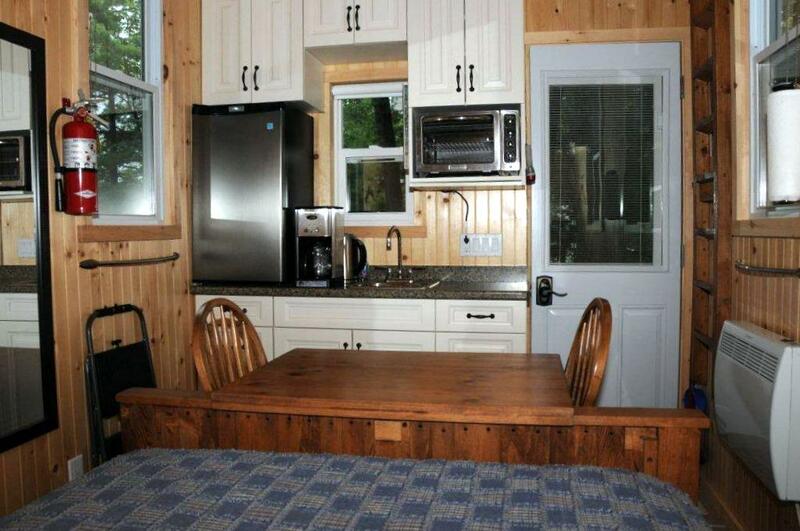 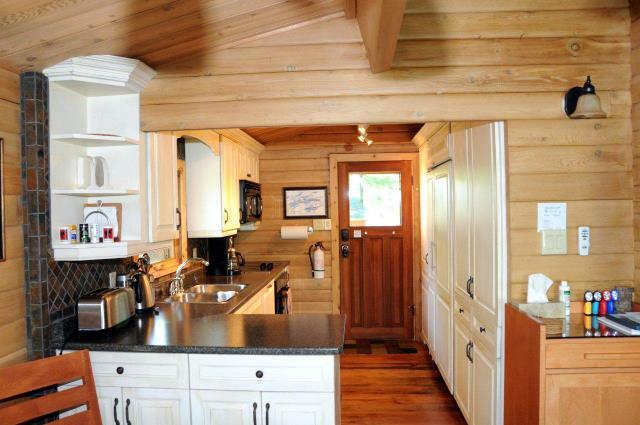 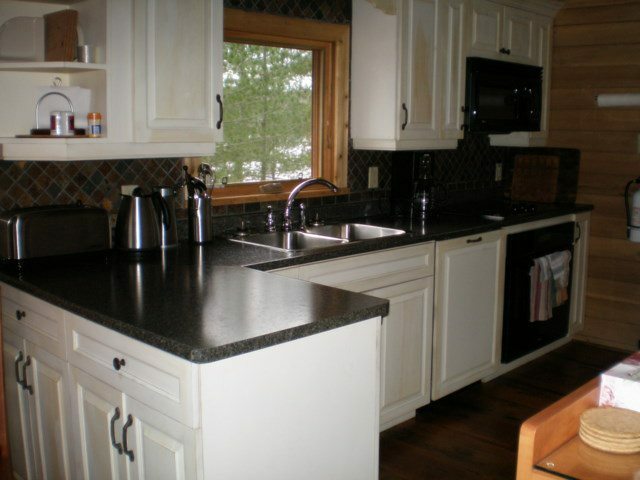 Leather furniture, a flat screen TV (with satellite), a quality kitchen and built-in sub-zero fridge add creature comforts to your cottage vacation. 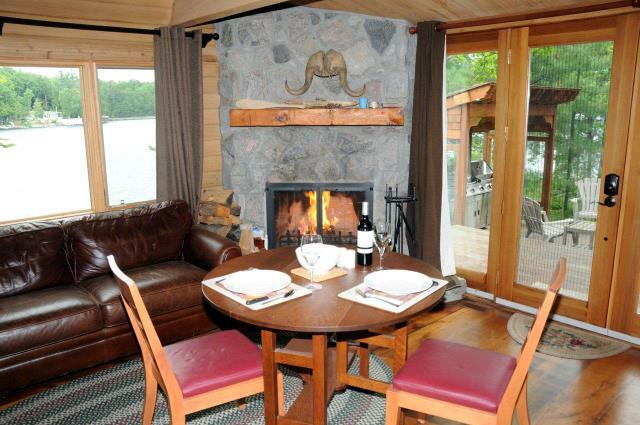 Enjoy dining with a view or simply open the dining room doors to allow that open cafe feeling of dining el-fresco. 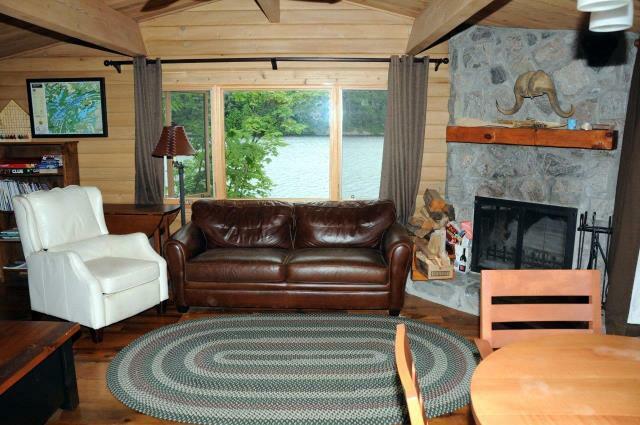 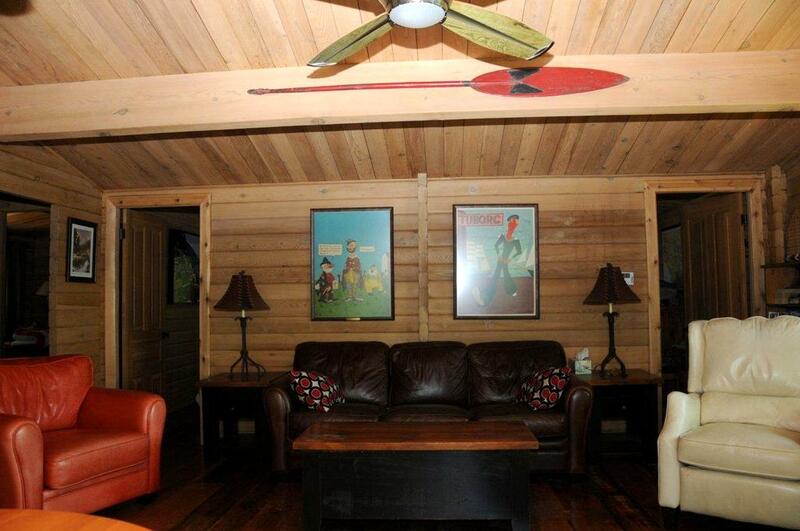 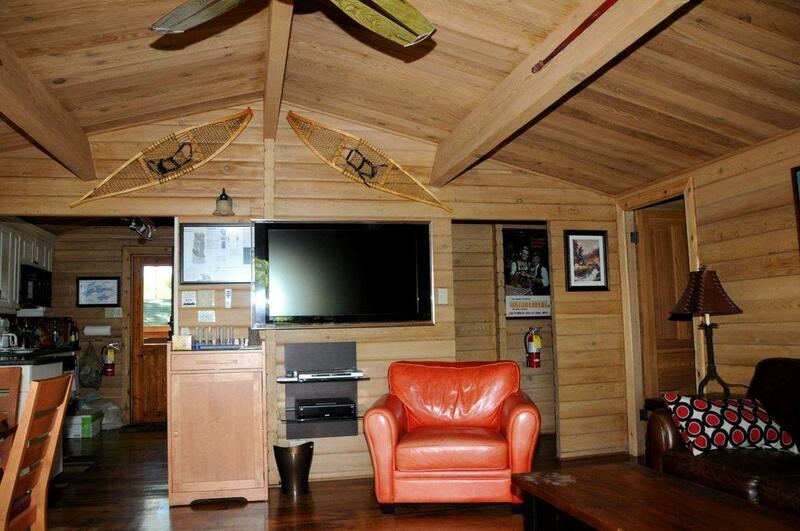 After a day on the water, you can enjoy a campfire on the point or relax on the couch with a good movie. 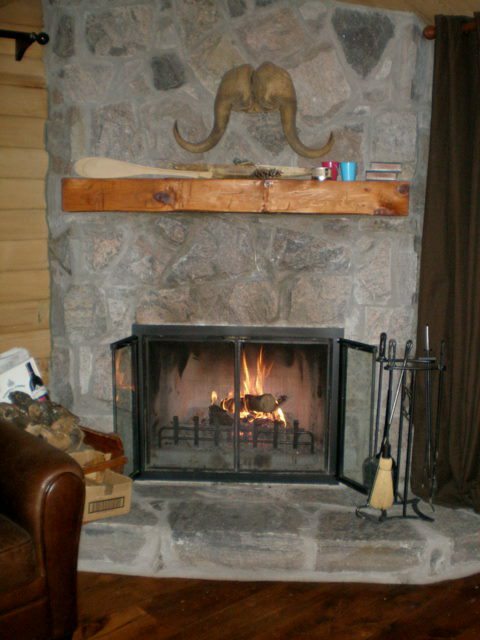 Come and enjoy this wonderful cottage property. 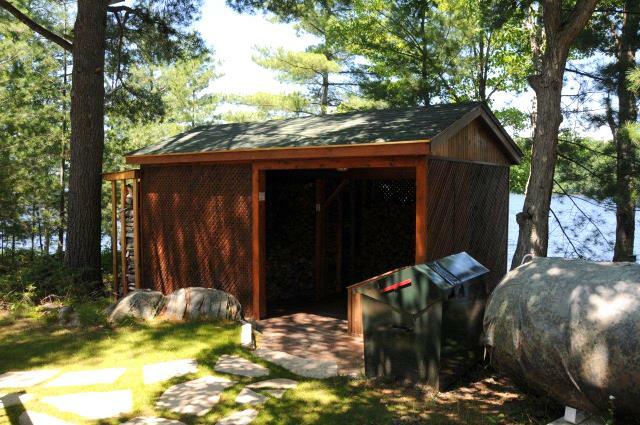 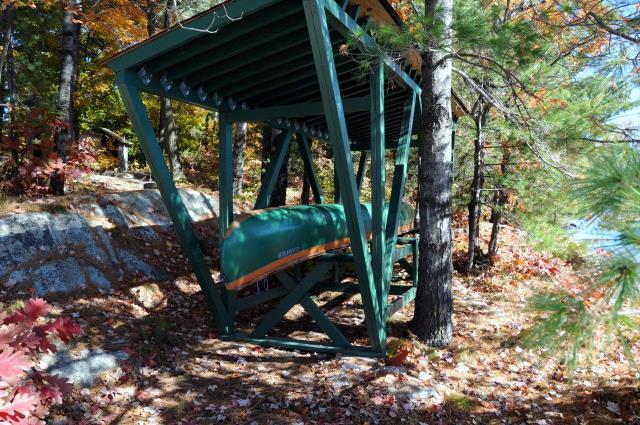 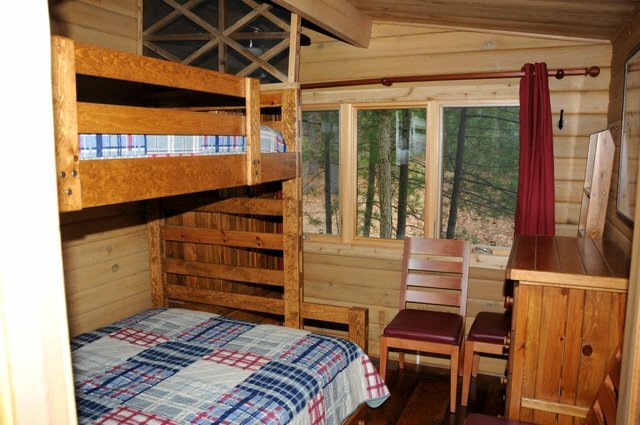 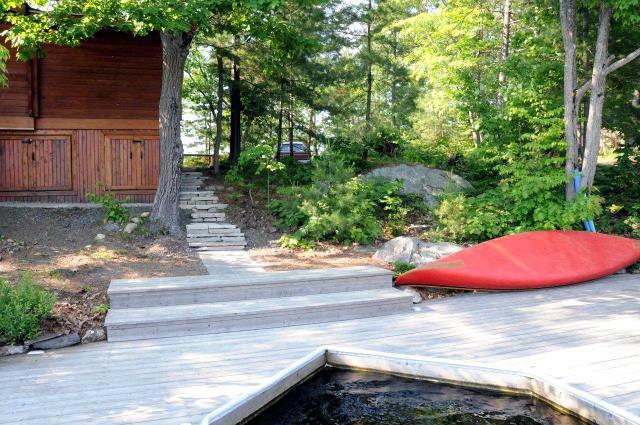 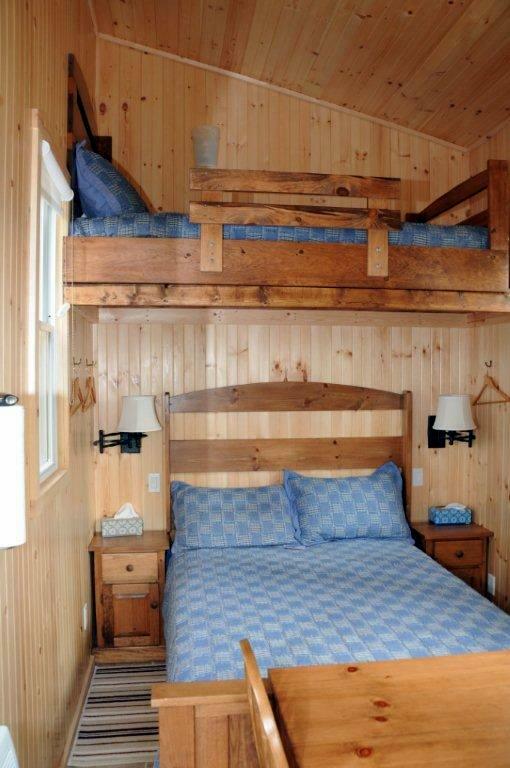 A separate bunkie, located within a few steps of the cottage, will provide a multi-generation family separate space for the children or in-laws. 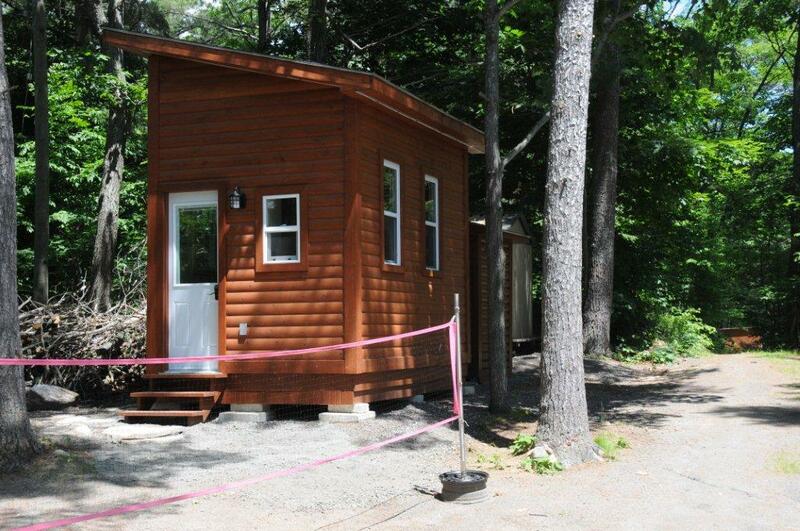 It will be finished inside to co-ordinate with the cottage interior (slightly smaller than the bunkie at Cottage #269) - photos will be added onto listing in the spring. 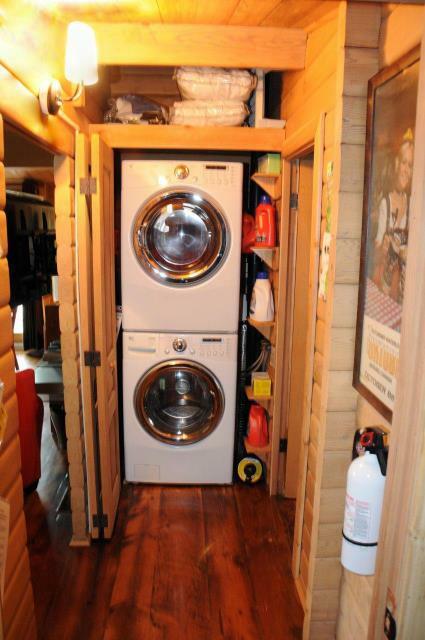 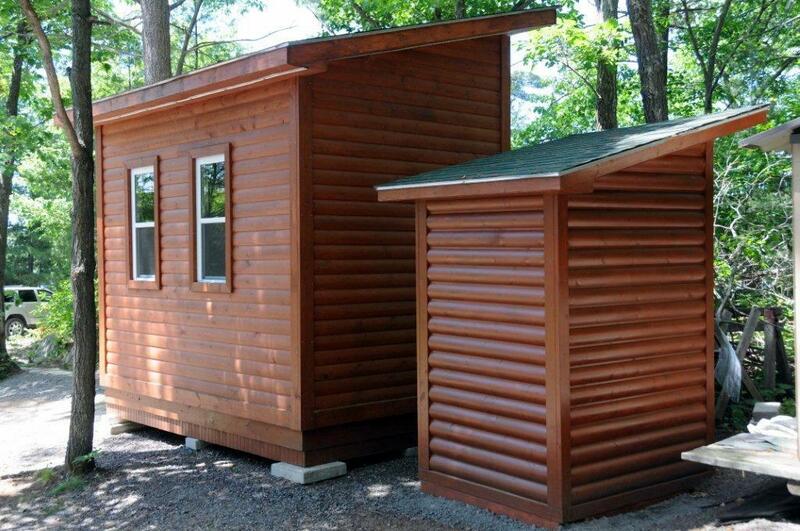 The bunkie is available for an additional cost. 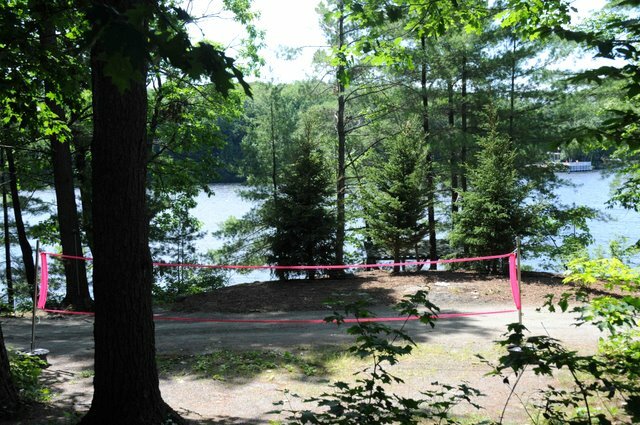 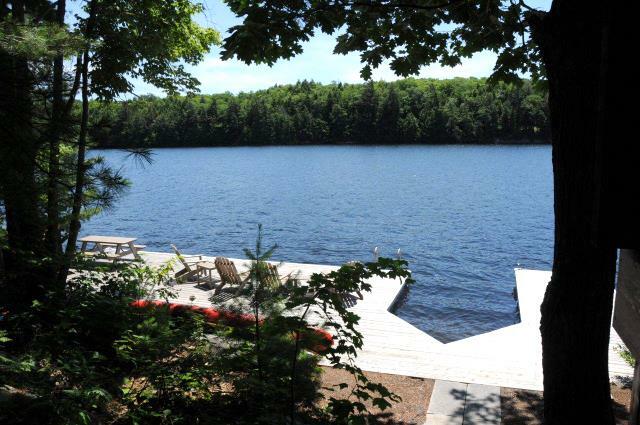 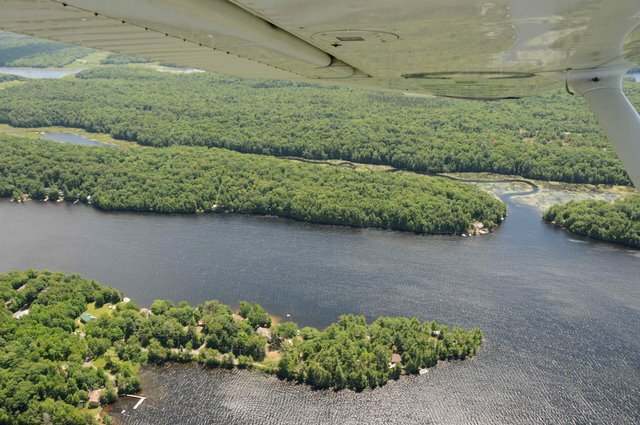 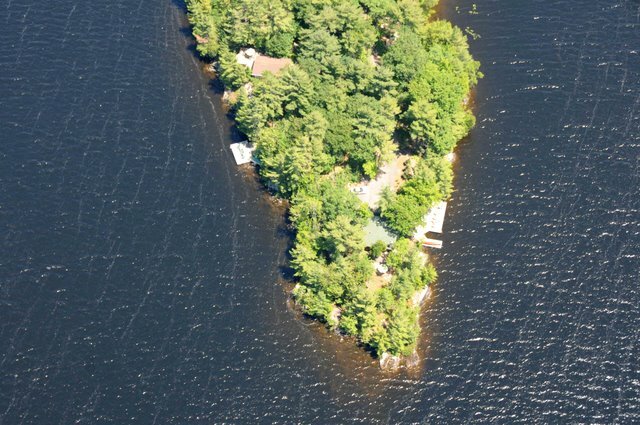 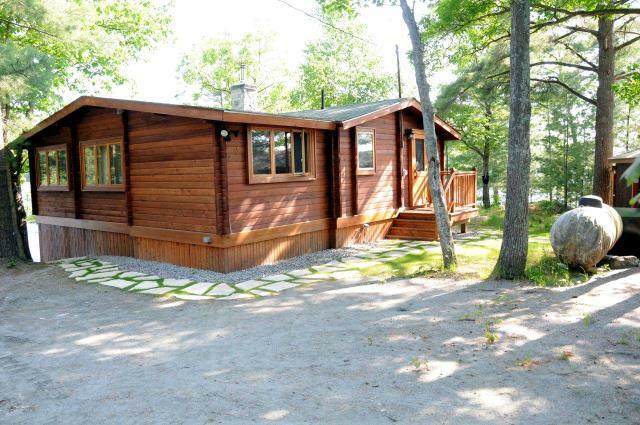 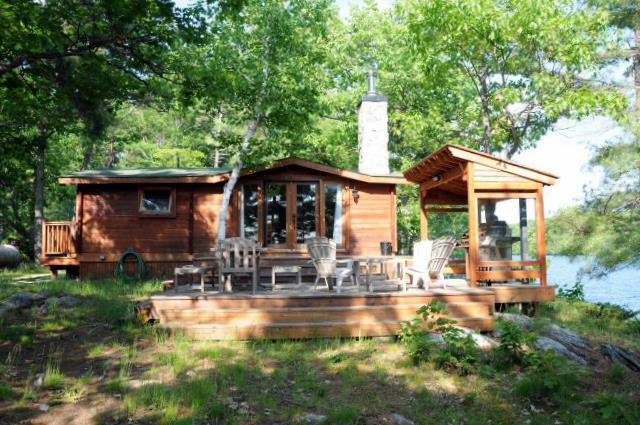 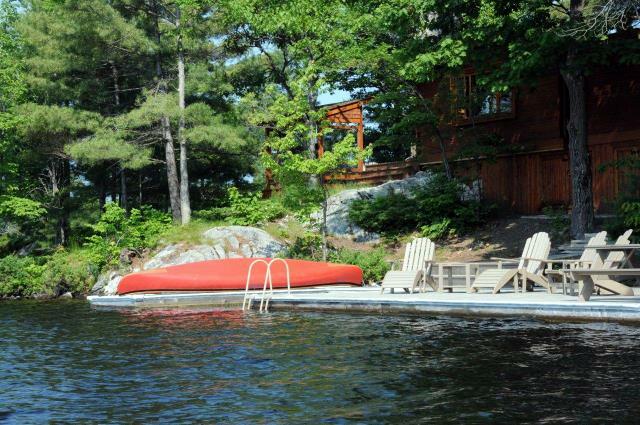 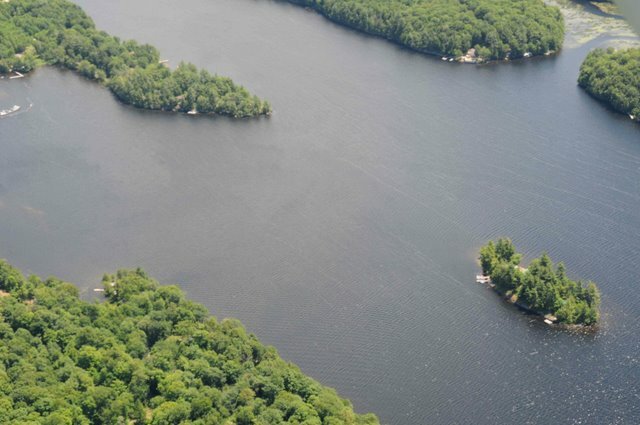 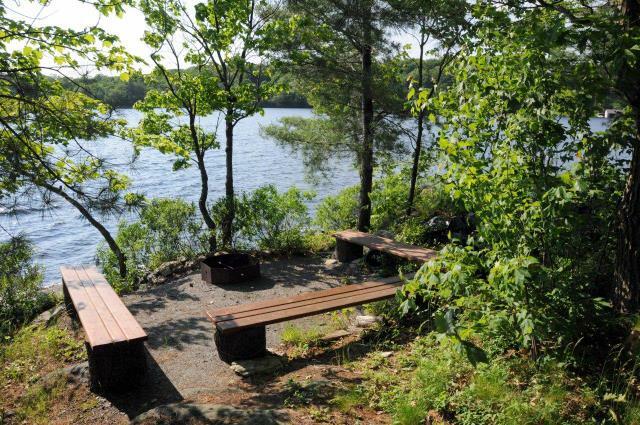 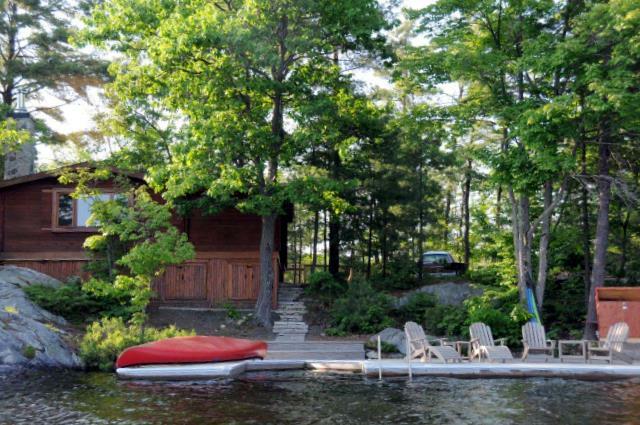 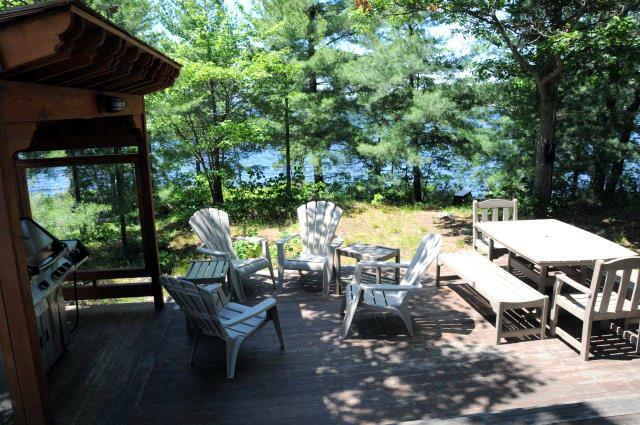 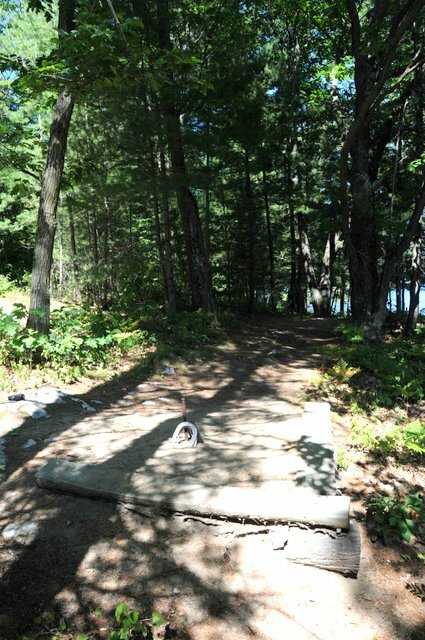 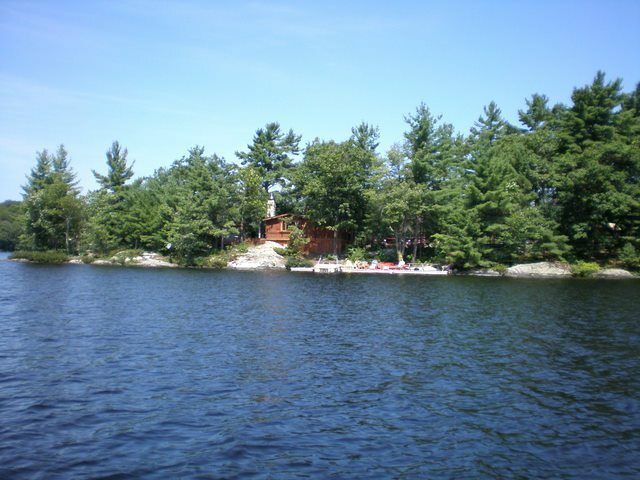 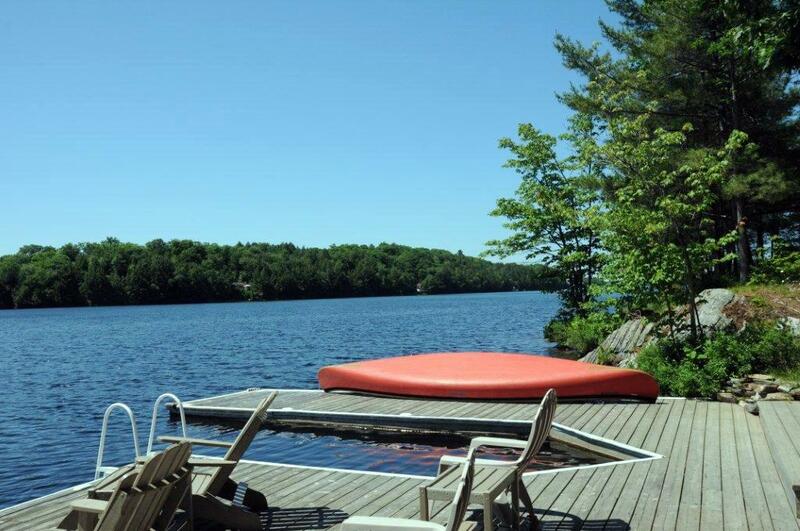 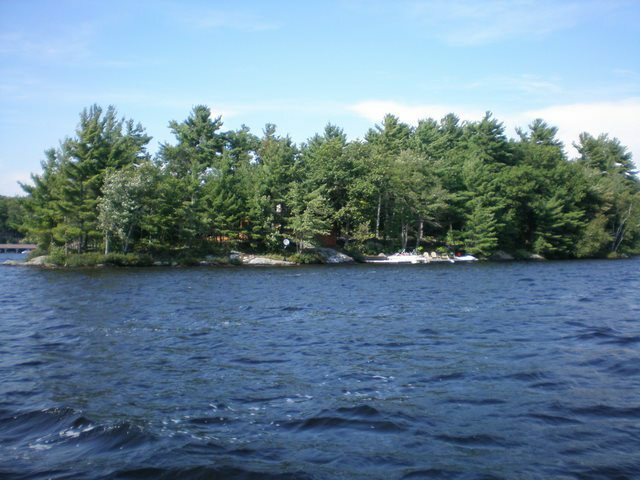 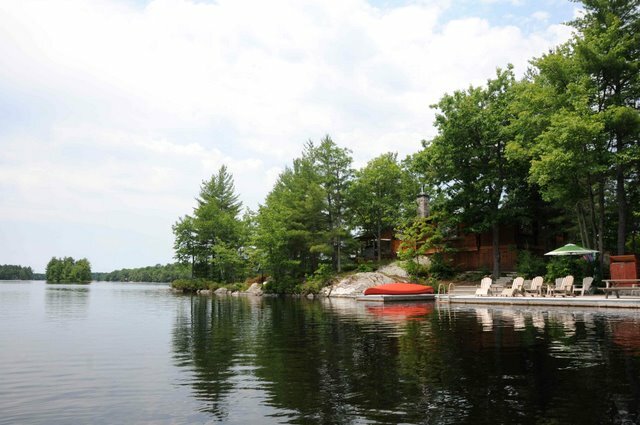 For additional accommodations for families looking to vacation together in the same area: This cottage is located on a large point of land (on a separate lot - with a separate shoreline) near cottage #269 (separated by trees - you cannot see one cottage from the other cottage). 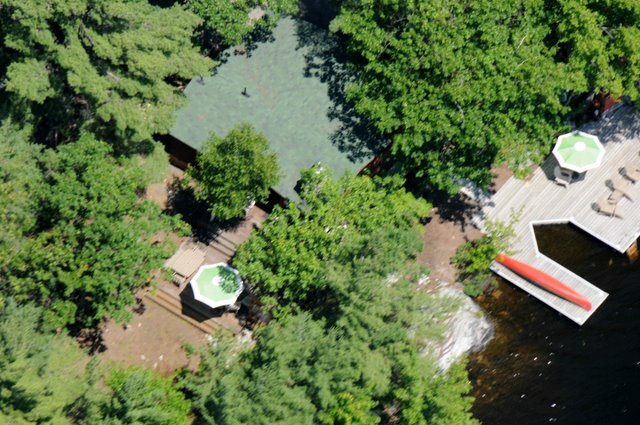 No pets, no smoking, maximum number of occupants is 7 (plus additional 2 people, if booking the bunkie also), bring own linens and towels, bring own drinking water if you prefer but note that the water in the cottage is treated and potable, noise restriction after 11 PM. 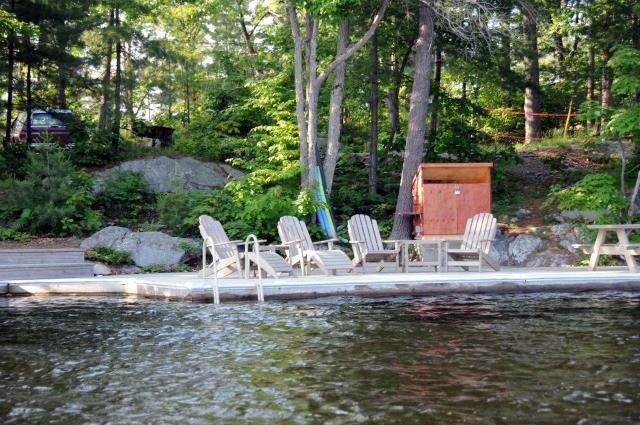 This cottage shares a large point of land with cottage #269 but both have their own private docks on opposite sides of the point. 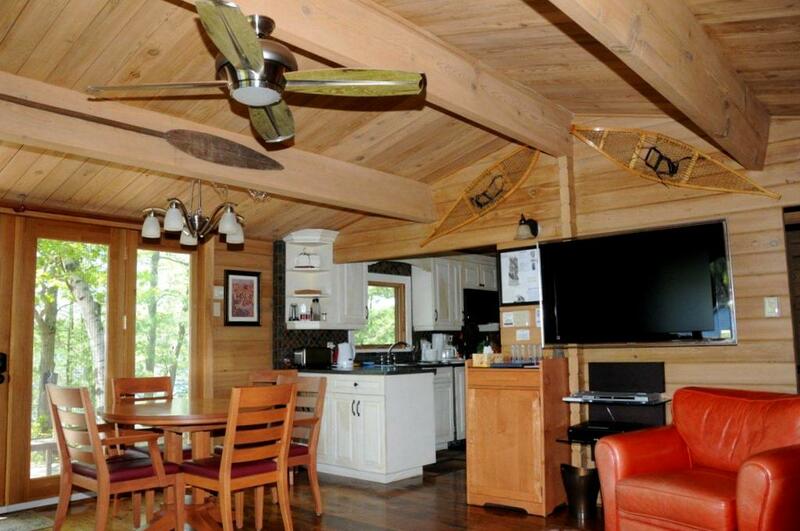 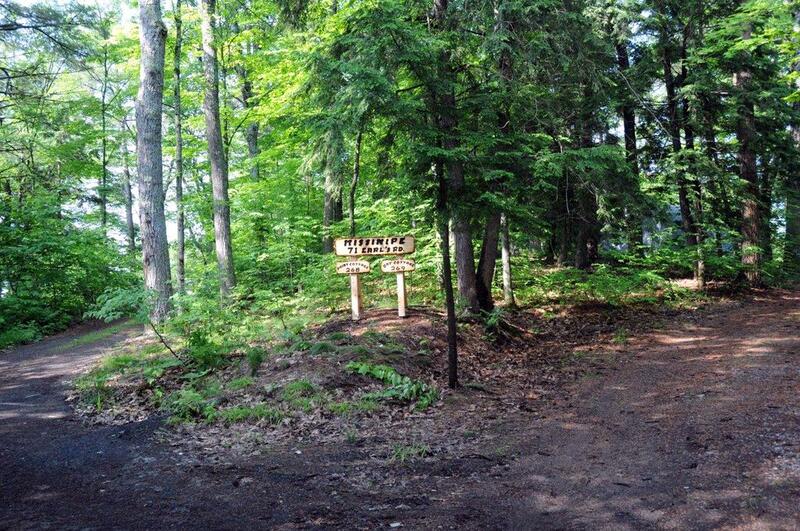 Rent the entire point, which is in excess of two acres, with both cottages for your extended family.